Welcome to the developer hub of Ingenico ePayments. This is the place where you will find technical information on the interfaces of Ingenico ePayments' products and services to quickly start playing around with our APIs. Test a payment & go live! Try our free sandbox and discover the possibilities! Done reading and ready to get started? Check out our sandbox and get developing right away. Simply sign up with your email address and you are ready to go. Use our fully responsive hosted payment pages secured by Ingenico ePayments to relieve you from PCI compliance burden. 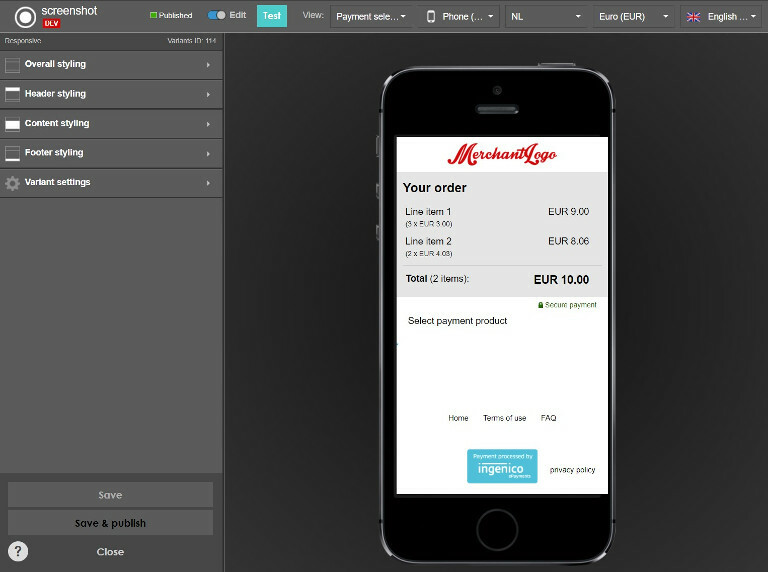 With MyCheckout Editor, you can easily customize the look and feel of your pages while remaining fully secured. Through the Ingenico ePayments interfaces, you can fulfill all your payment requirements using either the Ogone Payment Platform or the Global Collect Payment Platform. To find out more about our APIs, check out the full API reference section. This includes example code snippets in different languages. Our full range of payment methods and services are listed here. This includes the ins and outs of integrating these payment methods and services and supporting their functionalities.